Losing It - Audiobook (abridged) | Listen Instantly! America's Sweetheart turned working mother gives a frank and inspiring account of her life backstage and in the spotlight. We all knew and loved Valerie Bertinelli years ago when she played the girl-next-door cutie, Barbara Cooper, in the hit TV show One Day at a Time. From wholesome primetime in America's living rooms, Valerie moved to late nights with the hardest partying band of the decadent 80s when she married rock guitarist Eddie Van Halen at the age of 20. Here are the ups and downs of teen stardom, of her complicated marriage, and of her very public struggle with weight. Surprising, uplifting, and empowering, Losing It takes you behind the scenes in Valerie's acting career and marriage. Despite Valerie's celebrity, her voice is so down-to-earth, honest, and appealing that you'll feel as if you're talking with a girlfriend over coffee. Funny and candid, Valerie recounts her attempts to maintain a healthy self-image while dealing with social pressures to look and act a certain way, and to overcome career insecurities and relationship problems familiar to the millions of women who struggle every day with these same issues. From marital turmoil to the joys of a new career, from being named among Penthouse's ten sexiest women in the world to overhearing whispers about her weight gain in the grocery store, this is Valerie's inspiring journey as she finds new love, raises a terrific kid, and motivates other women as a spokesperson for Jenny Craig. Download and start listening now!
" What can I say? I work for Jenny Craig and she is our spokesperson. I was tired of all my clients asking me if I had read her book. Now I can say I have. " " This was an ok read. Probably never would have read it if she hadn't been married to Eddie Van Halen, but it was interesting. I thought overall she spent too much time talking about her weight obsession, but that WAS the whole point of the book, I guess. " " This book went fast. I was a big fan of "One Day at A Time" when I was a kid so it was really interesting to hear the behind the scenes scoop on Valerie's life as an actress on the show. Wow! Things were a lot different than I had imagined. I was also a Van Halen fan and so to get to hear what their lives were like was like getting to be a fly on the wall at something I'd always wondered about. She is so cool and honest and not full of herself. You can't help but like her and respect her after reading this book. It may also give people who have body issues or body image issues some help with what they are going through. " " I think this was one of those books that I happened to be reading at the right point in my life. I could relate to a lot of her struggles. I have found that since I started reading it I am having an easier time saying no to bad foods or putting the bag down sooner. Hopefully Valerie has motivated me to lose my "unhappy marriage eating" pounds too! The writing flows very smoothly, an easy read. " " Very honest interesting story of her life. " " Good book for someone over 40 who remembers her early sitcom and strugles with weight issues. A very easy read! " " I thought this would be a little more inspiring, but I was disappointed. Her ghost writer uses language that a monkey would probably understand, and frankly, I was just bored. Stopped reading after 50 pages. " " Interesting read but I feel like much of the book feels like poor me so much and I just want to say get over it. I do relate to some of what she says and I plan to keep reading so we'll see if it improves. " " Great story. I understand her weight battles. " " I really enjoyed this book. I never realized that Valerie Bertinelli was such a bad girl and that her marriage to Eddie Van Halen wasn't a happy one. " " Surprised by how much I enjoyed this. " " Very honest look at the denial and pain in "overeating and under-treating" yourself. (bad language) "
" It's fun to read about Valerie Bertinelli when I grew up watching her on tv and also reading about her marriage to Eddie Van Halen. It's a very honest book written as if she were speaking to you. Her weight issues and weight loss are always present but not in an overwhelming way. " " It was a nice quick read. I can't say we learned much about her beyond what we already know in general from TV, interviews, etc. But the book put it all in one little picture. I think she is a real, everyday sort of person who knew a lot of interesting people. " " Nothing too crazy revealed in this book! " 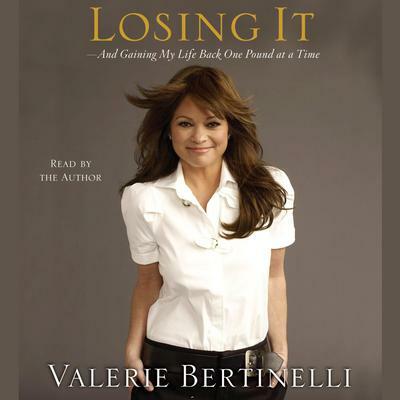 " "Tell all" doesn't begin to describe this autobiography from television star Valerie Bertinelli. " " This was a really great book. Chapters are named after Van Halen songs which was pretty funny since it pretty much titled what Valerie was going through at that point in time. She is really down to earth and funny. " " I enjoyed reading about her life but frankly I thought she talked a bit to much like a sailor. " " Found this book in a bargain rack and thought why not. I fell in love with this woman. What a true spirit. And hey she's from Delaware, who knew? " " OK READ. I WAS READING IT ONLY FOR THE JUICY BITS ABOUT HER AND EDDIE RELATIONSHIP BUT MOST OF THE BOOK IS ABOUT HER OBSESSING ABOUT HER WEIGHT. " " This was a very easy and quick read. Not an amazing work, but I enjoyed it and did find it interesting. " " not earth shattering, but okay. " " I was hoping it was going to be better than it was. Didn't really learn anything new. " " I really like her, but I found the book a little boring. It seemed like she just likes talking about herself more than it was interesting. " " More information than I really needed to know. Was given to me to read. " " Interesting enough to finish - written just the way she sounds, perky and fun - cool to learn some things about Ed (as she calls him) Van Halen and her son and all the other "famous" people involved in her life. Nobody is perfect and she's very willing to share that. " " Reading this was like having a conversation with a close girl friend. I really enjoyed it! " " Interesting perspective. I enjoyed the humor, as well. " " It was actually pretty good, better than I was expecting. It also was an eye opening experience to Bertinelli's life. " " I learned a lot from this book. I didn't think it flowed off the page like some other book I have read but it was still interesting. " " I thought that this was a good book. " Valerie Bertinelli then: bubbly sitcom star and America’s Sweetheart turned tabloid headline and rock-star wife; now: actress, single working mother of a teenage rock star, and weight-loss inspiration to millions.